Getting out of Monmouth was the most likely part of our journey where we were going to make a mistake and I didn’t want to miss any turnings early on in the ride. So 18 patient riders had a bit of a stop-start start to the ride until we got off the road and began following the River Wye south towards Redbrook. A twisty trail that had a distinct footpath feel to it eventually brought us to Redbrook. A small village on the edge of Gloucestershire, and a village we would ride through 3 times today as we would fan out in various directions including across the border into Wales. From Redbrook we made a steady 200m climb up above Whitebrook towards New Mills. The cool November air that had us wrapping up in Monmouth now seemed like a distant memory as we shed layers after warming ourselves nicely on the climb up. As you may know this route hadn’t been ridden before by any of us so surprises were in store and our first one was probably the highlight of the ride. While looking for my planned exit from the top of the woods I found what looked like a fun trail down so decided, after a review of the map, that we should take it. Pwllplythin Wood delivered a gnarly leaf strewn treat that dropped us almost all of our 200m in a very short distance. We picked up the scent of my original plan and free wheeled the rest of the way back down towards the river and our trail back to Redbrook. After we had a stop for lunch we lost Gary P. as his rear shock was misbehaving and he’ll be disappointed to hear that he missed plenty more climbing. After our second visit to Redbrook we climbed towards Offas Dyke and then followed Valley Brook in a large U shape to what can only politely be described as a very muddy second descent back to the village! Yes we got a bit mucky on our second loop and the descent, while it definitely delivered some smiles and laughter it was almost certainly the muddiest track I’ve ridden in a long time. We were in Redbrook again for our third and final visit and then a fairly stiff climb up Duffields Lane. Mostly track and solid surface it wasn’t too bad and eventually brought us to a farm at the top, where we sniffed out the bridleway to bring us down to Wysham Lane. It was fast and fun but the off road section was over a little too quickly and we were soon on tarmac and pedaling back into Monmouth. After navigating some traffic lights and a subway we found our way back to the start. The weather had been kind to us and though we were mostly covered in mud, we were pleasantly warm for a ride in mid November. Thanks for the huge turn out and once again for the riders who put their trust in me to take them to new territory. We definitely found a route that we should revisit in the Summer. You lucky lucky people people. For the second month in a row Tim From Wales brings you something new. We are going be starting in the historic town of Monmouth and will be going on a ride that begins in Wales, middles in England and ends in Wales again. Two countries in one ride -a club first?? On the far side of the Forest of Dean lies the Wye Valley; not much of it is legally accessible by bike and much research, begging and borrowing has been done to put together a route in the area that is both challenging and fun. Many mountain bike guides died to bring us this information! With a fair amount of climbing either side of the river Wye but with some fun fast descents to make up for it this ride will deliver some fresh trails, views and locations to the club. Its an Adventure for all involved as the ride leader will be following instructions given to him by another mountain bike guide and as such expect some navigational surprises! It will be mid November, so please check the weather and dress accordingly. We may have the opportunity for a pub stop mid ride but there are no planned cafe stops so please bring food and drink sufficient to sustain you on a hilly 4 hour ride. The ride now has a start location. We will be meeting at the corner of the playing fields behind Waitrose. By the roundabout see map below. There’s plenty of parking in town that I haven’t had chance to check out but we are all adults so find somewhere to park and meet by the red dot at 9.45am. Weather doesn’t look too bad for the weekend either. I don’t expect any gnarly or steep bits, just a few mucky tracks no doubt. However please remember if you are coming that this ride falls under our new “adventure” category. This means I haven’t done an actual physical recce of the route and don’t fully know what to expect, but we will be following (hopefully) way marked tracks and bridleways. Words and photos by Tim Norris. I tried really really hard to deter people from coming on this ride. I told them I hadn’t ridden it. I said we may get lost. I put it on in the middle of October. And I even said there would be no cake. But they came. List it and they will come, and they will expect to be entertained and have a blooming good time. I was up for the challenge. Perhaps downloading the GPX to my Garmin would have been a good start or bringing a map that started at our start point. How can it actually be to follow a cycle path up the valley anyway? Turns out it was easy, really easy in fact to follow the WRONG cycle path for 3 miles! So we turned back and I don’t think anyone noticed. The weather was typically Welsh and autumnal – sunny and dry – and our pedal up the sort of clearly way marked Sustrans Route 465 was really pretty. We rode through some typical Welsh villages and parks, a rugby ground in Abertillery all the while admiring the autumn colours on the trees and on the ground. At Nantyglo we diverted so everyone could get a look at the “roundhouses”. Oh how they nagged and begged to see these 19th century fortified homes! I hope some one took a picture as I didn’t! After this we began our ascent of Mulfran. Mulfran is the 5,217th highest peak in the British isles and the 446th tallest in Wales. I’m sure I remember someone asking me for this info as we made our way up the track. Here’s where things started to get interesting. My map, and GPS and Jay’s (thanks Jay) GPS didn’t all exactly agree on where the bridleway was atop of Mynydd James so as we at first fought our way through mud and motorcross ruts we then made our own way through the wild grassy hill top trying to find a way down. What we did find was a cool rock fissure and decided it was a good place for a snack and to take a 100 or so photos. After leaving the at least one or two of the gang down a hole in the ground we sort of found our way off the hill by way of a storm/water gully that feeds the Cwmtillery lakes. Getting to the lakes meant we would be back on my planned route so there was only one thing for it! Bobsleigh time! It probably wasn’t the most sensible way off the side of the mountain but, no one got hurt (seriously at least) and we had bagged a special moment that all will remember! A short climb and hike out the other side of the valley had us on our homeward stretch as we traversed the hills side above Pen Y Bont towards Abertillery. With one final climb in our sights and the Welsh sun (it was Welsh sun) shining on us we headed up for one final treat! The Penrhiwgarreg woods delivered one final treat as we dropped down through the trees, twisting and turning on a mix of woodland trails and tracks following some sort of memory I had from some Strava research. With a mixed ability group it delivered enough to challenge but not too much to scare and we all arrived at the bottom without any issues. What a finale to a great day! I’m already planning another visit. Tim takes us back to South Wales again and one valley over from the last trip for a bit of a Ding Dong. We will follow a traffic free National Cycle Route alongside the Ebbw Fach River from Abertillery to Brynmaur – via the quaintly named mining village of Six Bells, hopefully enjoying beautiful autumn scenery and not being drowned in rain. Then we will head onto Mynydd James and the Coety Mountain where we will briefly enjoy views of Blaenavon and Big Pit before making our way across the mountain and back to our start point. This route wont be particularly long at 30km but will have around 900m of climbing on a mix of terrain. 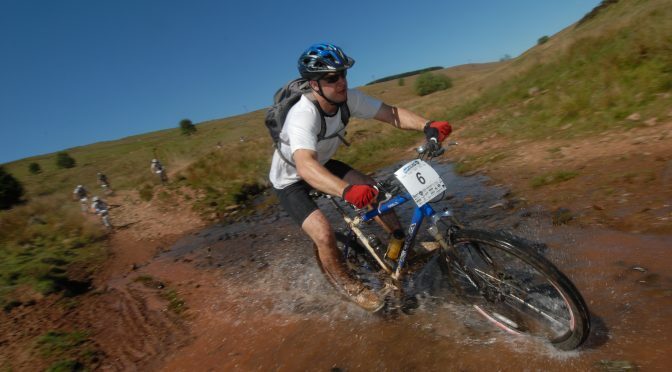 This ride falls under the new Adventure Ride category as part of the mountain, although marked with bridleways and access roads, may require some hike a bike or pushing at times. Though Tim is very confident in the terrain as he has lead a ride along one side of the mountain previously, please still be prepared for some surprises. If the weather is such that the mountain part of the ride becomes questionable there is a back up plan. Its October so PLEASE bring clothing appropriate for the weather conditions. It’s been a while since we had an MB Swindon day at Bikepark Wales, so we are heading back there on Saturday 15th April with Phil Allum. 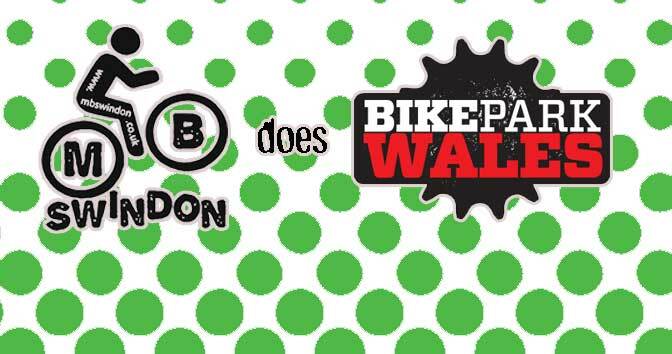 BikePark Wales is the UK’s first full scale mountain bike park in the heart of the South Wales valleys, built by riders for riders. If you have not heard of the place then head over to the BikePark Wales website to find out what is on offer. Want to know how a previous club day there went? You can read all about it in the ride report: Bike Park Wales. It is well worth a read as it gives a good indication of what to expect. Uplift tickets are priced at £36 per person and will need to be booked and paid for directly at the Bikepark Wales booking page. Tickets are on sale now! If you have the legs then you can always pedal yourself up and save your uplift money. If this is your intention then you do not need to book anything and just turn up on the day. But if you want to be on the uplift then you may want to book now, as last time the demand was so high, all tickets were snapped up within a few days. You have been warned! Any questions please ask, see you all there! 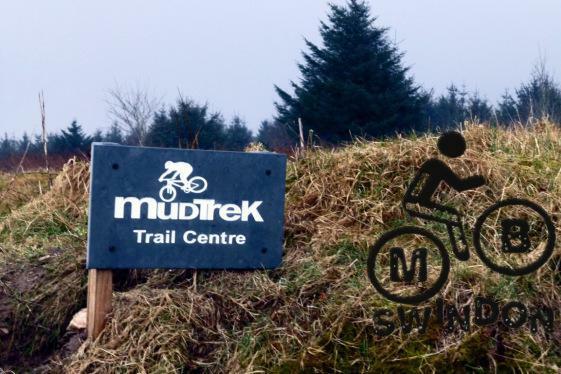 The MTB Marathon series 2017 kicks off in Builth Wells on the weekend of the 8th & 9th of April. It is a one loop ride on the Sunday with distances from 25km to 65km to choose from. The area is great for riding, a good mixture of classic trails, double track bridleways and singletrack, all in the rolling hills of Mid Wales. It features an event village full of caterers, trade stands, demo bikes, hot showers, proper toilets, live entertainment and a bar (Oh yes!) amongst other things. Entry includes camping, finisher’s t-shirt and the pasta party on the Saturday night, so why not make a weekend of it? We will be setting up the MB Swindon pit area with the club’s gazebos so we’ll all have somewhere to hang out when not riding. As well as the main event on the Sunday, there is also the option of the Exposure Lights big night out on the Saturday night, if you fancy a bit of night riding. This ride is the 4th part of the next step rides. It is aimed at those who want to have a go at a red graded trail but at a slow and steady pace with plenty of stops to catch your breath. (See the next step blurb below) The plan is to do a lap of the Twrch trail then have a drink and some lunch. We can then assess if anyone wants to drag their carcases up the hill again! The Twrch trail is a classic Red graded trail with quite a considerable climb. 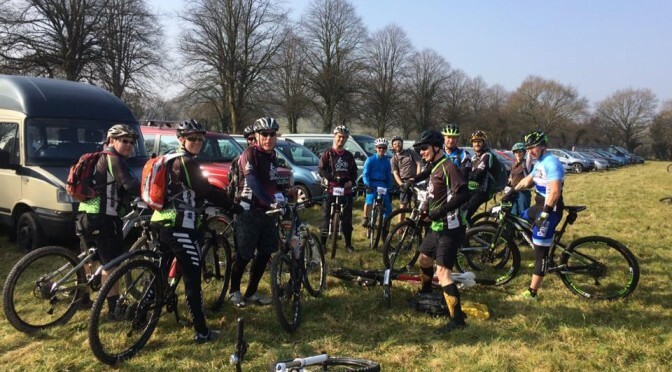 Both the climb and the decent will be a good test of your cycling skills and will be a step up in both fitness and technically from trails such as the Forest of Dean Verderers and Swinley forest. Although this ride is marked as novice freindly, it is more suited to riders who are comfortable with trail centre riding or have attended the previous “next step ” rides. If you are not sure if this is suitable for you, please feel free to contact the club and ask for further information. The Twrch trail is one of Wales’ hidden gems climbing from dense woodland out onto open ridges with clear views of the Bristol Channel. Nearly all the climbing on this trail is done within the first few kilometres. So the start is hard, some of it technical and it will really get your heart going (and test your determination). It’s well worth it though because the descent is very much games like a rollercoaster ride; it’s fast, swooping and you’ll be exposed to some very steep hillside. Money for the car park and a spare inner tube is always a good idea. Also, some spare brake pads if it is wet. Cwmcarn can eat pads in the wet! Aparently braking is important. 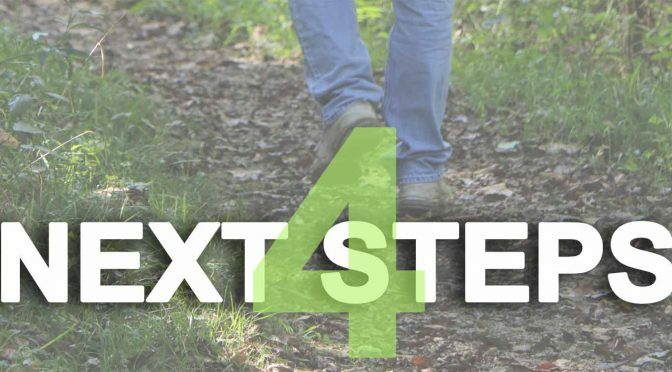 The “next step” rides are aimed at those who may have tried novice friendly rides and are looking to progress to and build confidence on more technical terrain at a slow and relaxed pace. They would also be suitable for people who have ridden at trail centres before but who may be concerned that they lack the fitness or confidence to ride within a group that may contain some experienced riders. The intention is to offer a series of rides at some of the nearest trail centres with an incremental level of difficulty. Starting with Ashton Court, then The Forest of Dean and Swinley and Culminating with Cwmcarn. If you are able to make the whole series then they should offer a good progression of challenge to your skills and fitness. The pace of the rides will be set at slow and steady “Snail friendly” pace with regular opportunities for rests. Where the trails might become more challenging then there will be a chance for riders to look at obstacles in advance and to walk down or ride around anything that might look intimidating. If you like to crack on and ride fast then these will not be suitable for you. If you enjoy a break, a bit of a faff and some natter on the trail side then these rides might be just your cup of Tea. You can leave your hat on if you like, but I would recommend a helmet and to strap yourself in for a 60km South Wales epic! Starting in Pontypool and winding our way up the valley to Blaenavon and back we will experience some of the wonders of the Welsh valley where your ride leader grew up. Well its not… We will climb the height of Ben Nevis (not Snowdon, Ben Nevis) on this ride and will likely be in the saddle for around 5-6 hours. It will be worth it though as we will be taking in some of the best bits from our previous visit to Blaenavon and will be adding some more views in to keep you eyes and camera’s happy and enough trail riding to keep your riding skills in check. There will be no planned cafe stops so you will need to pack a lunch and plenty of snacks. For those of you who have ridden the Goshawk Challenge before, you know the script …it’s all about pain management. Each year we try to introduce some new mental and physical hurt into the route and you will be pleased to learn that for 2016 we’ve stuck to our roots, lots of them in fact. As with previous years it will be a tough ride. As you can see, the organisers of the Wentwood 50 do not shy away from telling you what’s in store when you enter this event. That’s why I didn’t enter it. Though many from MB Swindon did and some were talking about it on a club ride I was leading a few weeks before. These comments went in one ear and out the other, I was only glad I’d provided a few hills for people to climb to prepare for it. Little did I know I was going to take up the offer of a ticket when one of the gang would later realise they couldn’t make it. So with approximately a week to go, I found myself with an entry into the Wentwood 50k aka Goshawk Challenge; time to give it some thought. Which bike? Which pack? How much water to carry? What shoes to wear and what colour jersey? And was I going to do the 25 or 50k route? 50k of course, and my grey and red FiveTens in case you were wondering. The weather was very kind to us and we had been treated to a few dry days. With blue skies on the day too, the mood at the start was very good. 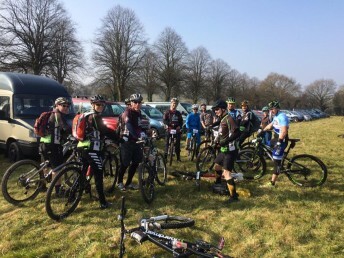 A dozen or so were present from MB Swindon; there were also a few more from neighbouring club Dirty Saddles and I met some friends from Half Way Up MTB and one lone rider from Granny’s Ring MTB, a club based in my home town of Pontypool. Enough of the warnings of the “toughest 50k you’ll ever ride” and “I rode the course in the week and it’s brutal” (this guy only rode the first 25k too) – it was time to ride. At the start 300 riders gathered for the road climb, designed to thin the pack out a bit and get any teething bike issues sorted before you entered the Wentwood Forest proper. There was a real mix of riders, some clearly geared for a race and others for a leisurely ride on the trails and with intentions of reaching the 25k food stop and going no further. My plan was to do the 50k, keep riders around me so I knew I wasn’t last and pace myself for what I hoped was to be a 4 hour ride. It was apparent at the halfway mark I was not going to achieve the 4 hour target. In fact 5km past the 25k point I wondered if I was going to even finish at all. The first half of the ride, was indeed brutal! With already almost 800m of climbing completed I was hurting – long with most others. The 25k point marked the major food stop en route and the end of many riders journey around the route. Natasha and Sharon came across a lady from another club, Bigfoot Mountain Bike Club based in Gloucestershire, who was struggling with a bad cold and finding it tough going so they they decided to stay with her. It’s demoralising to be on your own feeling rough so they did the decent thing of helping out. Paying the karma forward so to speak, shortly after they ended up receiving some moral support themselves from one of the friendly volunteer marshalls who turned out to be from Swindon. All of the marshalls, food and water stop volunteers were very helpful with advice on the next section and making sure you took some refreshments. They had obviously been briefed on what was in store even if they weren’t actually riding. Tom Scott decided at 25km and 3 hours of riding that he was going to push himself to the finish line, having only managed 36km of the course in 2014 he wanted to finish it this time. Unfortunately with some time and safety requirements for the course he missed a cut off and was directed along with a number of other riders to finish via a little short cut. He didn’t manage the 50km, but still clocked up 47.6km. Fair play and well done for digging in. The reward for pushing past the 25km point was a much wilder and more interesting second half. The singletrack became a little tighter and the descents more fun: I would gladly ride the second 25km again as it was just the sort of riding I like. If I hadn’t been riding for 2 hours at this point I could have managed all the climbs with a bit more ease and enjoyed the technical elements more. I hadn’t seen anyone from MB Swindon since the start climb, but I caught sight of Hazel Ross soon after the feed station and thought maybe I was doing better than I actually was. Hazel is a good rider and to have caught her after 25km was a real boost to my morale. It took maybe another 2-3k before I actually caught up enough to talk to her mind you and then I found the only reason I was this close was because she had broken her chain. Damn it! But I was lifted by seeing a familiar face and had some company for the last stretch. As I didn’t ride with a partner or make an effort to stick with anyone in particular, my only gauge apart from the average speed reading on my Garmin, were one or two riders that seemed to be riding at the same pace. Occasionally I would look up while on a climb, only to be passed by the same red jersey and bright green socks that I had whizzed past on the last descent. “Hello again!” became the familiar greeting… “I’ll see you again in 5-10 minutes…” the reply. I am sure that at the last few water stops each Marshall told us there was only 10km to go, why wasn’t the finish line getting any closer? Then after a long uphill section of road the last bit of dirt track it was a Tarmac zip to the finish. 5 hours and 5 minutes after the start I finally crossed the finish line. I won’t lie I was hating the course and the organisers at this point for subjecting me to this pain and agony and then I realised I didn’t have to do it, no one made me. This is the thing with mountain biking the way I approach it, no one makes me ride. No one forces me out in the middle of winter to freeze and get covered with mud. No one sets my alarm to get me out of bed early on a Sunday morning. It’s my choice and my decision. Like Tom Scott the distance wasn’t going to beat me, so I stuck to my plan, if it was going to take 5 or even 6 hours, so what! Some did it in 4 hours or so. Well done by the way to Graham Burgess and Gary Lee for arriving back at 4hrs7 and 4hrs24 (source Strava – official event times not uploaded yet) and for the superhuman effort of Rides On Air and former MB Swindon race team member, John Speed for getting round the 50k in an amazing 3hrs31. 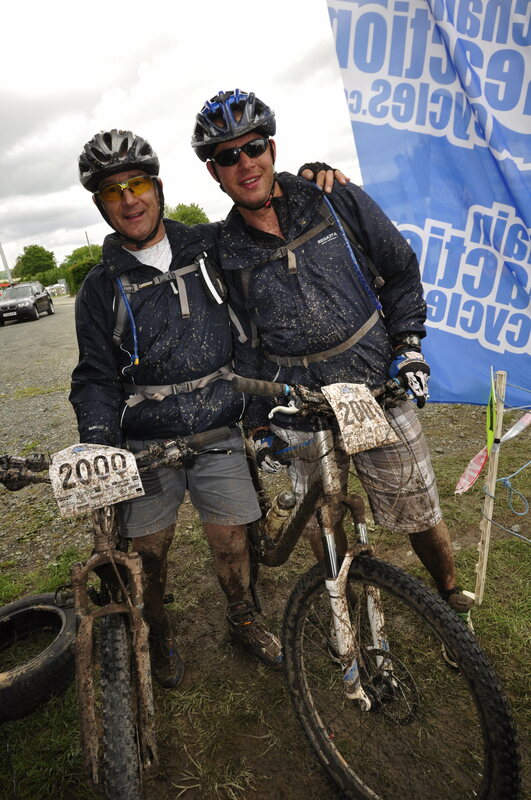 The 25km “team” should also be proud of themselves, it was a big ride and they stuck to their plan. However, the Wentwood 50k threw in a little surprise for them and that 25km option turned out to be closer to 35km by the end. So Wentwood Forest, I probably will see you next year, but this time I’ll be ready for you! PLEASE NOTE THIS TRIP IS NOW FULLY BOOKED!! What you get: Two nights accommodation, full cooked breakfast, home cooked evening meals and packed lunches. A guided ride on the Saturday that is tailored to suit the group. The last weekend there was so much fun (MudTrek Weekend – 27th – 29th June report) that we are going again next year. Jay will lead us on a guided ride on the Saturday. The Sunday is free to do what you want. The local Brechfa trails are 10 minutes away and are excellent with the blue and black trails getting rave reviews. Afan, Bike Park Wales and Cwmcarn are on the route back. Numbers are limited so the trip is open to club members and their partners only. We will accept riders on a first deposit (£33.75) paid basis. Bank details available on the Members Only Area. Please mark the payment “MudTrek YOUR SURNAME” and email kat at mbswindon.co.uk to secure your place. Photos of the last trip are available in the Mudtrek Weekend Album on Facebook.